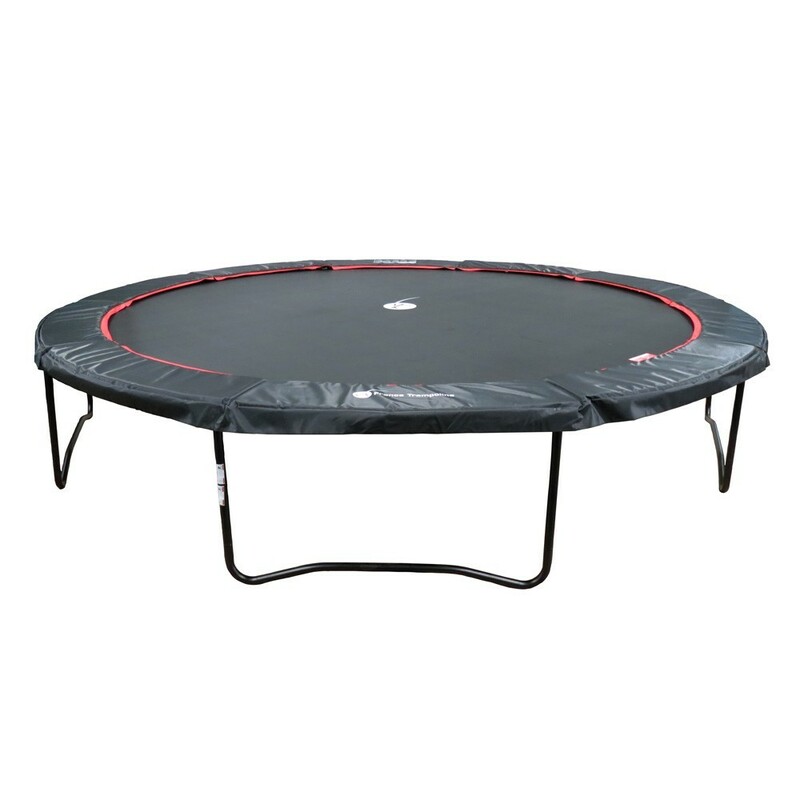 A large round trampoline for sensational times! This Booster 430, sold without a safety enclosure, will replace your old trampoline at a reasonable price, as long as your safety enclosure is still in good shape. - 96 210-mm springs attach the jumping mat to the frame. 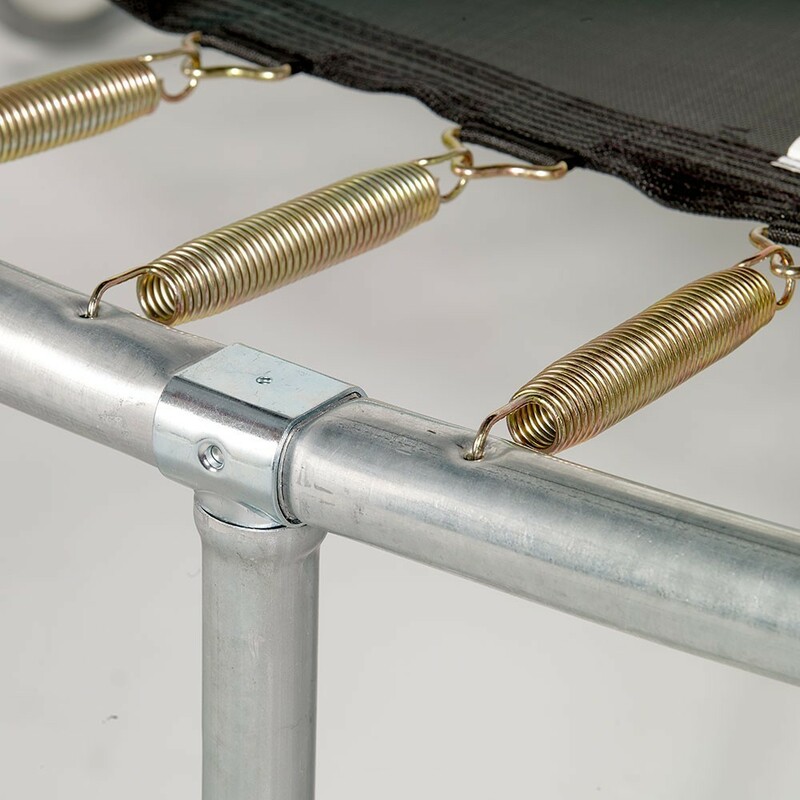 These springs are among the longest on the market to guarantee you sensational jumps! 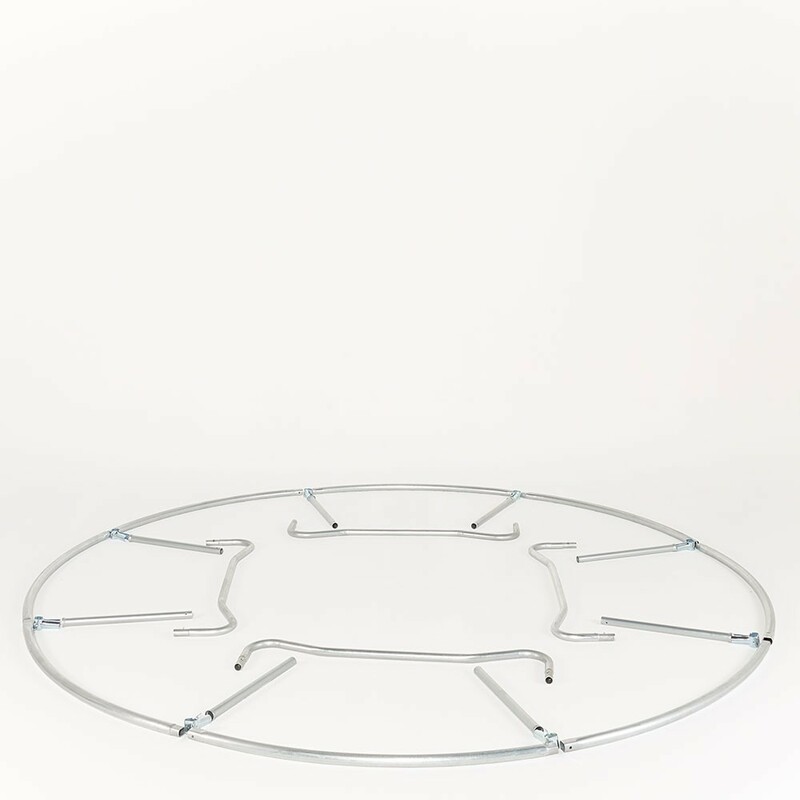 - The frame in galvanized steel is designed to stand up to low temperatures and humidity, so you may leave your trampoline outdoors all year-round. 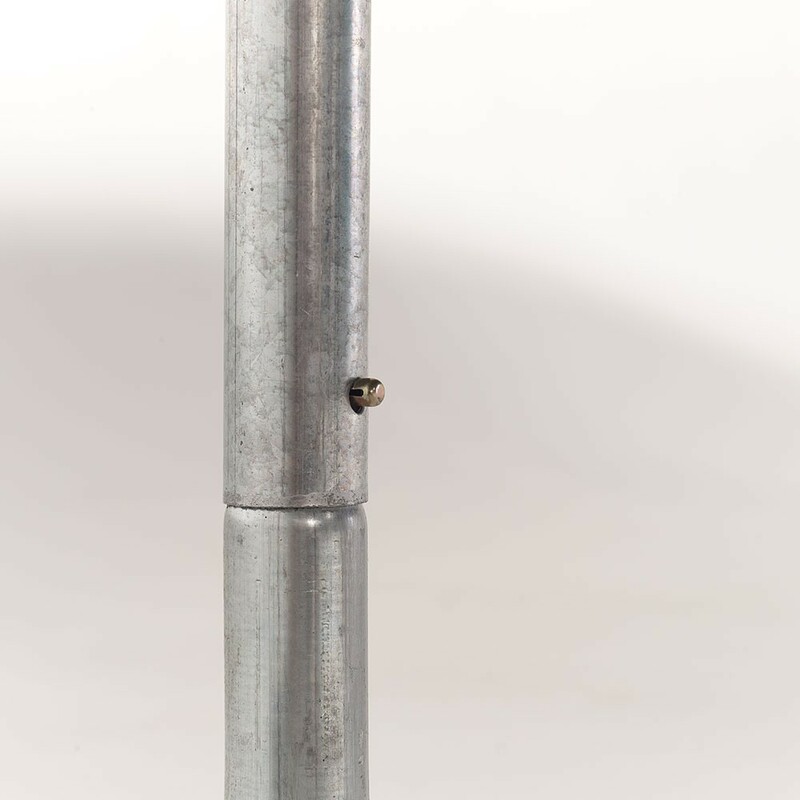 The tubes are not drilled and are assembled with T-shaped junctions, which are more robust than simply welded structures. - The jumping mat is made of mesh, one of the most resistant materials to guarantee you thousands of jumps. It is UV-resistant and will maintain all of its qualities, even after many hours in the sun. 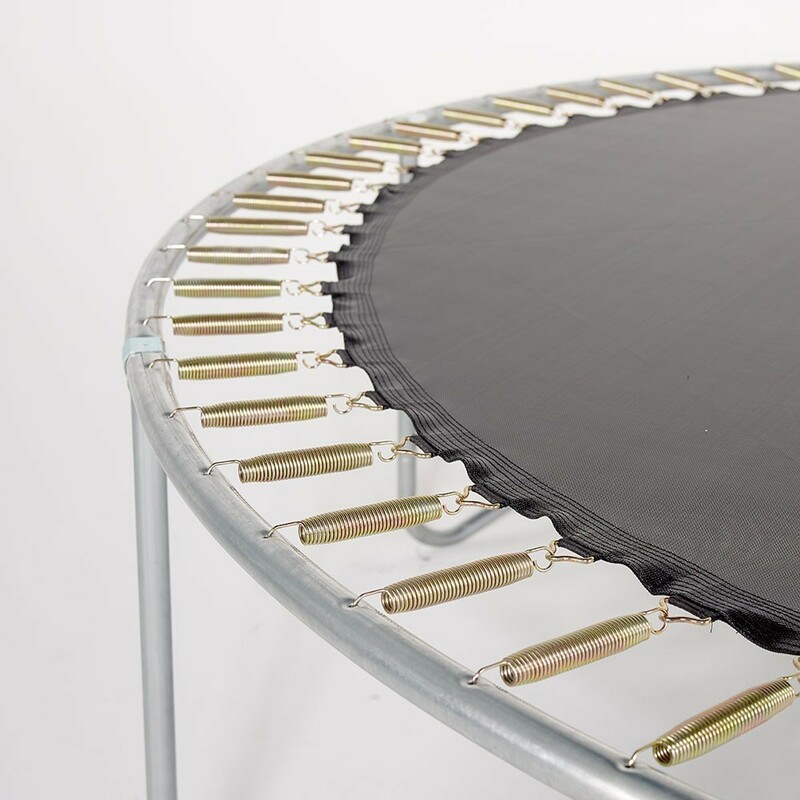 - The trampoline frame pad completely covers the springs. 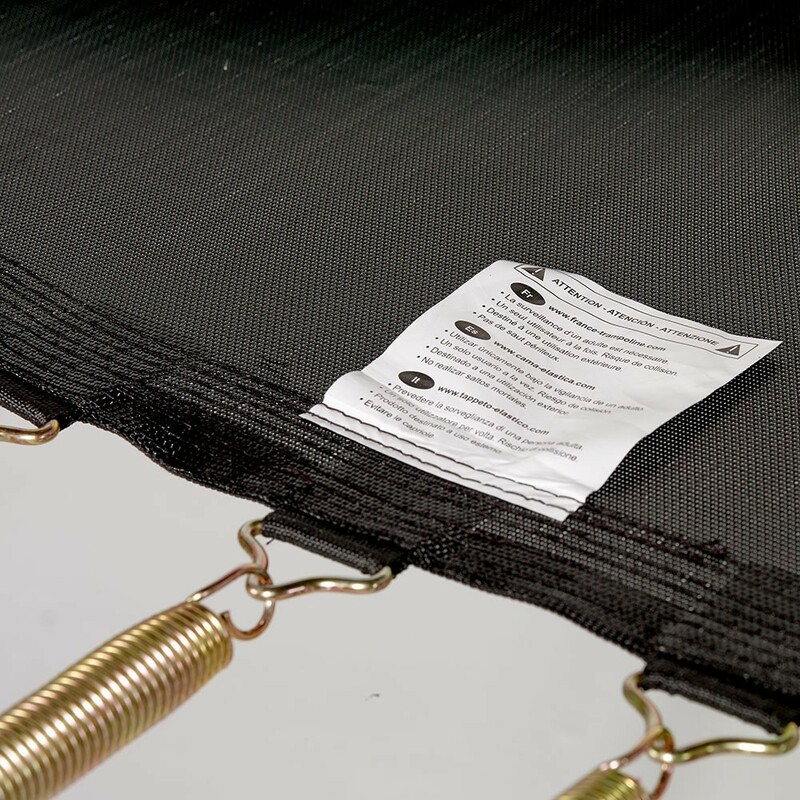 A waterproof PVC sheath covers a monobloc piece of thick foam to cushion landings outside the jumping mat. Caution: check to be sure that your safety enclosure is compatible with this trampoline before purchasing it.